Upload informative files such as user guides, tutorials, manuals, pricing, etc to products and CMS pages with Magento 2 Product Attachments. Give your customer details about your products or service in the form of docx, pdf, ppt, jpg, png, jpg, other image files etc. which they can download. 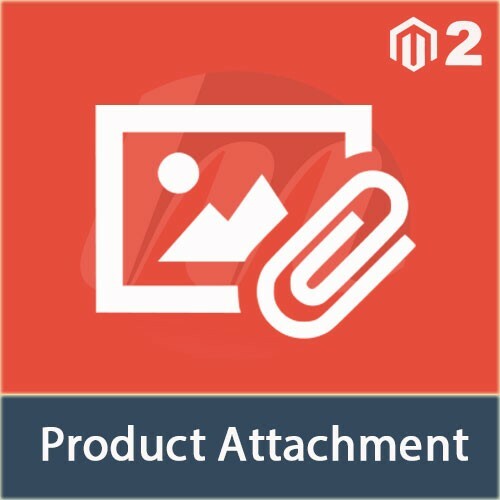 Use Magento 2 Product Attachments by Magesales to upload such files to your product details page so that the visitors can have a detailed idea about the product. The files can be assigned either through product grid or through SKU. Admin is allowed to upload multiple files, set restrictions on the number of downloads and give permission to access the files and download them. Moreover, admin can enable/disable the extension from the back-end. Get the easy-to-use and manage Magento 2 Product Attachments Extension with multi-store environment support to have a better user experience at your Magento 2 Store! Attach the files to CMS pages and different products to help spread your message. 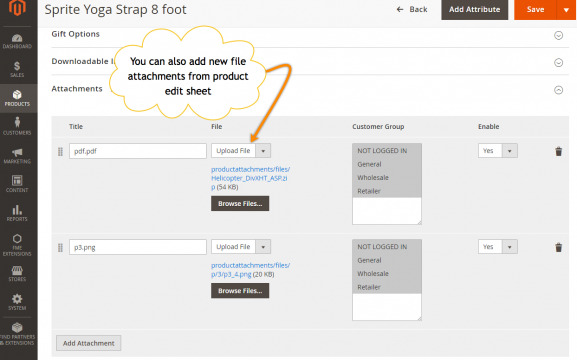 Attach files to multiple products by selecting them one by one from the list. Product Attachments Extension for Magento 2 helps you to add an instructional manual with multiple products. Add files for CMS pages as well, which assist customers to find relevant downloads on content pages. Add, edit and remove categories to classify files in the most relevant category. Create independent categories for grouping files, whereas sub-categories can also be created under the parent group. Upload multiple file types that allow you to present information and guides in your acceptable format. You can make the product and CMS pages more meaningful by displaying videos. Add useful links on various pages to make your website more informative and reliable. Restrict file downloads to a specific customer group and store view, which prevents unnecessary downloads. You can set a limit that restricts downloads of each file, which prevents a higher number of downloads. Enable the counter to count how many times a file is downloaded by users.